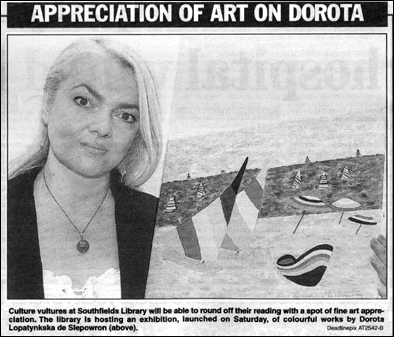 "Culture vultures at Southfields Library are able to round off their reading with a spot of fine art appreciation. 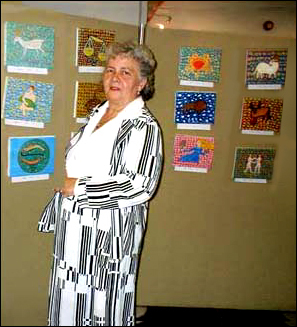 The library is hosting an exhibition, launched last Saturday, of colourful works by Dorota Lopatynska-de-Slepowron." 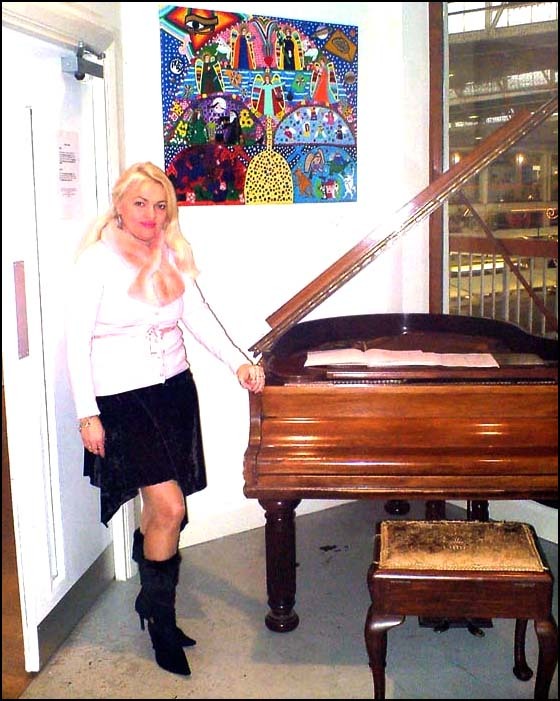 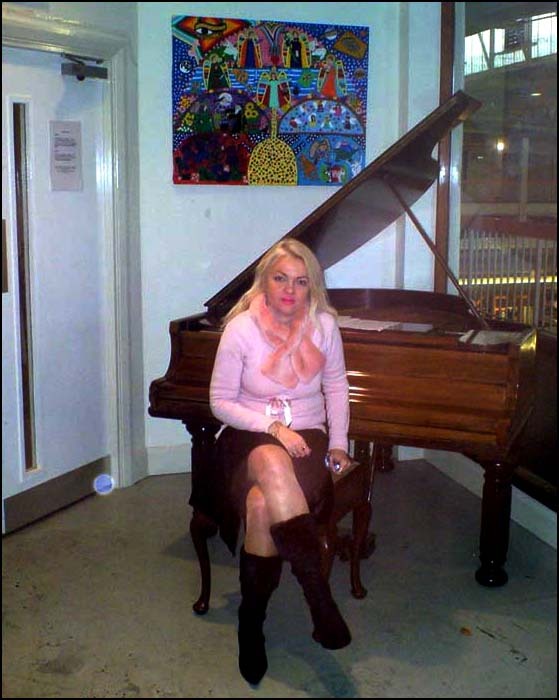 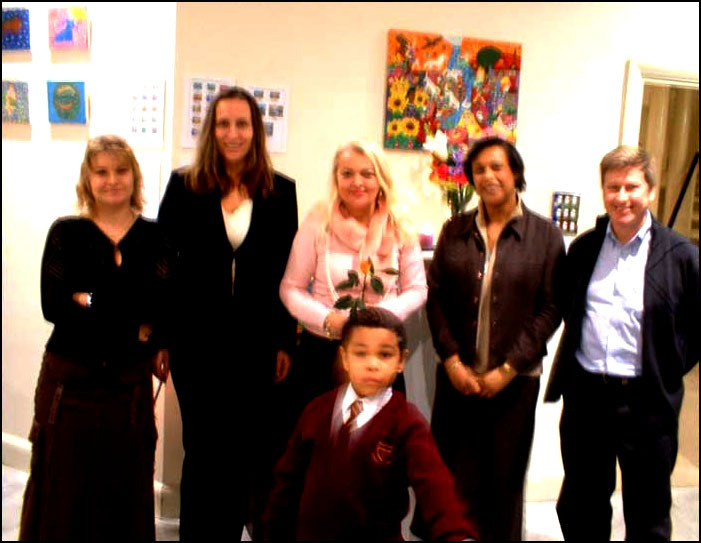 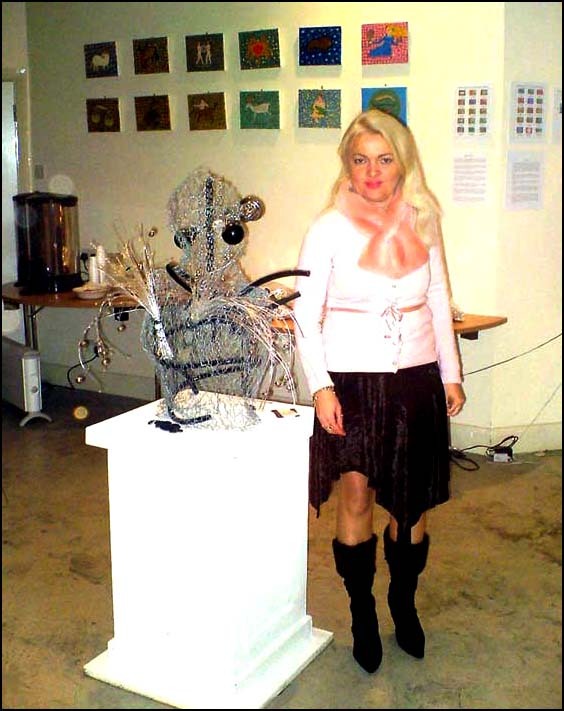 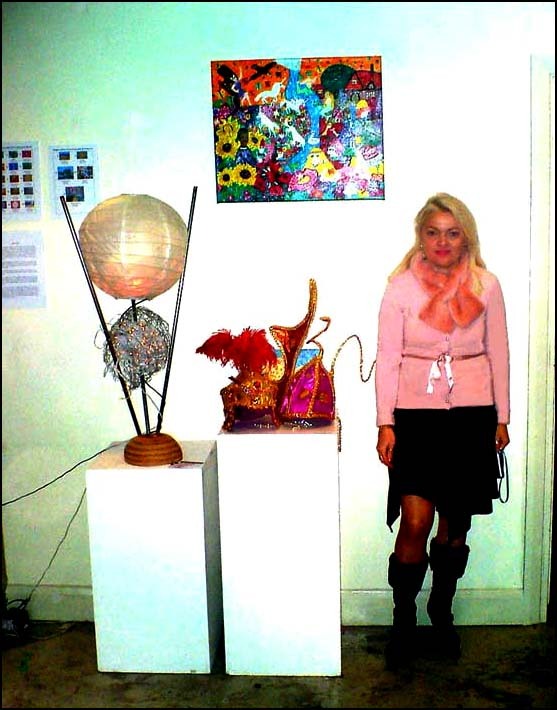 Her second art exhibition took place in 2005 at Enfields ArtsZone in North London. 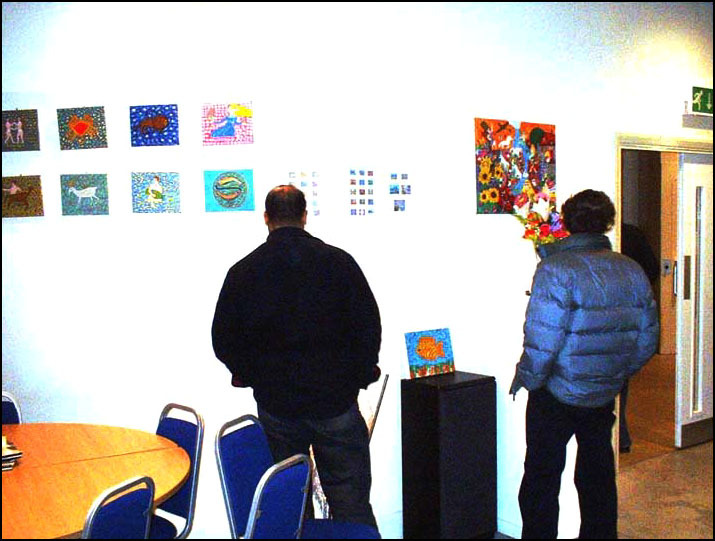 Both the exhibitions were well received by the public and media. 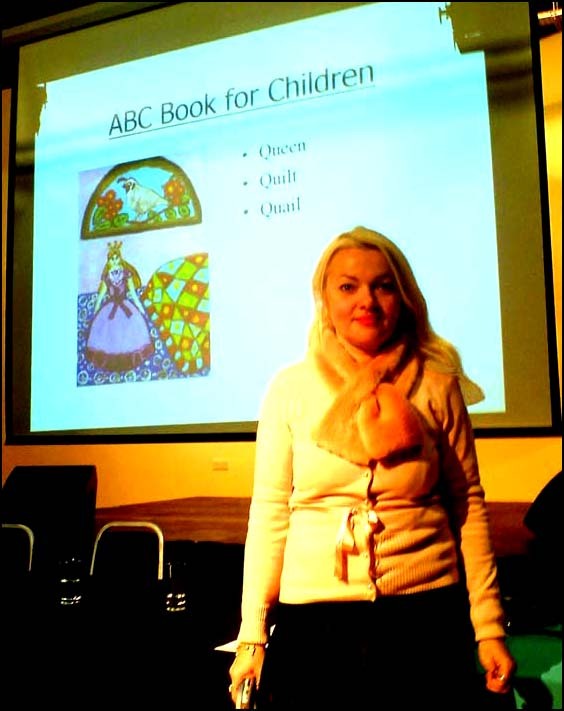 During the second exhibition, her art project "ABC Book for Children" was presented as a slide show at a special event to school authorities.